Streaming refers to watching live TV broadcasts, listening to radio stations live, music or watching video in ‘real time’, instead of downloading a file to your computer and watching it later. With internet videos and webcasts of live events, there is no file to download, just a continuous stream of data. Some broadcasters prefer streaming because it is hard for most users to save the content and distribute it illegally. Files encoded for streaming are often highly compressed to use as little bandwidth as possible. If there is an interruption due to congestion on the internet, the audio will drop out or the screen will go blank. To minimise the problem, your device or computer stores a ’buffer’ of data that has already been received. If there’s a drop-out, the buffer goes down for a while but the video is not interrupted. If there is no more data in the buffer, it will usually stop and display a message – ’buffering’ – while it catches up. The BBC broadcasts all of its television channels (with the exception of HD channels), on live Internet streams. These broadcasts are only a few seconds behind the terrestrial and satellite broadcasts. The quality is not perfect, though it is quite watchable either on your computer screen, or through you television via a HDMI, SCART or other A/V cables. Most computers have some option to connect to external devices, see you computers and TV’s user manuals for more information. There are two ways to view BBC television channel online, either through the BBC iPlayer, which has a TV Channels section, click on the channel you would like to watch and then click on the ‘ON NOW’ link in the top right hand corner. Alternatively, go directly to the channels homepage at the BBC website, click on the ‘Watch Live’ link on the top menu. The BBC uses the Embedded Media Player (EMP), which allows you to watch streaming video clips on demand and simulcast television programmes. Live TV streams are available to UK residents only, and you are required to have a TV licence to use this service. NOTE: All live BBC streams are restricted to UK only IP addresses (Geoblocked). BBC iPlayer is available on a host of platforms including: Freesat, Freeview, Youview, Windows, Apple OS, Linux, Virgin Media, and mobile devices. Microsoft Internet Explorer 6 and above, Firefox 2 and above, Netscape 5 and above, or Opera 7 and above. (Other browsers may work, you will need version 8 or above of Flash to play the clips. The latest version can be installed from www.adobe.com. BBC live streams are available worldwide at Transponder.tv. 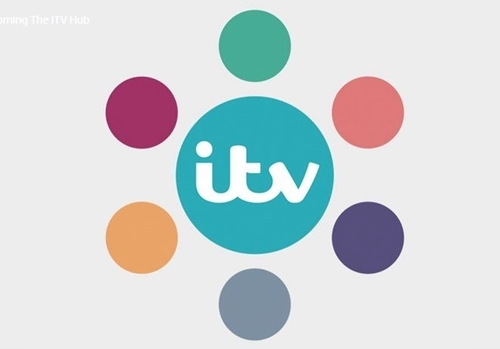 All of ITV’s channels are available as live streams, all the channels are restricted to UK IP addresses only. Picture quality is quite good even on a large screen. The ITV Hub uses Microsoft Silverlight as opposed to Flash (used by BBC iPlayer) and Windows Media. Despite Silverlight being used some users, particularly Linux users have experienced difficulties with the service. The service works best in Internet Explorer and Firefox, it does not currently work on the Safari browser. You can watch ITV’s channels on Windows, Apple and Linux. To install Silverlight click HERE. The ITV Hub app for iOS devices does offer a few live TV streams, they are not currently available on Android or Windows Phones. NOTE: All live ITV streams are restricted to UK only IP addresses (Geoblocked). STV (Scotland) There is no live stream available. STV does offer a catchup service (STV Player), offering much of ITV’s programming. UTV (Northern Ireland) There is no live stream available. UTV does offer a catchup service (UTV Player), offering much of ITV’s programming. ITV live streams are available worldwide at Transponder.tv. Channel 4 offers live streams for all of their channels, Channel 4, E4, More4, 4Seven, Film4 and 4Music, all are restricted to UK IP addresses only. Picture quality is quite good even on a large screen. NOTE: All live Channel 4 streams are restricted to UK only IP addresses (Geoblocked). Channel 4, E4, More4, 4Seven, Film4, 4Music, are available worldwide at Transponder.tv. A Channel 5 live stream is available on TVCatchup (UK only). 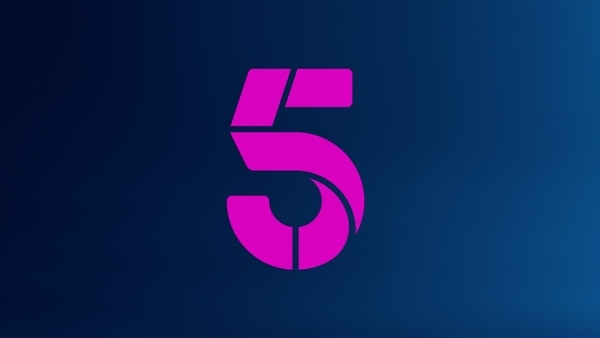 My5 is the VOD service from Channel 5, bringing you your favourite shows from Channel 5, 5STAR, 5USA and Spike for free. My5 uses advertising to help support the service, to ensure that a wide selection of your favourite shows are available for you to watch for free. There is a 135 second ad block before any programme begins, these can not be skipped. Catch up on recent shows for at least 7 days (without registering for a My5 account). Create a free My5 account and enjoy longer catch-up windows for your favourite shows. A UK ip address is required to view content on My5. Channel 5, 5USA, 5STAR, 5Spike, are available worldwide at Transponder.tv. Enjoy live channels including thousands of hours of on demand entertainment online for free in line with your Sky TV subscription. What’s more, you can now watch great TV from Sky on your iPhone, iPad or Android device. Watch up to 32 live channels – including all five Sky Sports, four Sky Movies, Sky Atlantic, Sky1 and more – plus hundreds of shows and movies on demand through your Xbox 360, laptop, PC or Fetch box. The service allows users to watch live and on demand video content from their PC, Mobile or Xbox 360 via a broadband or Wi-Fi internet connection. On demand content comprises sports highlights, latest news, movies and TV programmes. Content is viewable for a limited amount of time and is protected by digital rights management software provided by Microsoft, and therefore cannot be copied to disc or viewed beyond the date carried by its license. The service is available at no extra cost to existing Sky TV customers, with accessible content depending on the subscriber’s Sky package. Non-Sky TV customers can access the service by subscribing on a pay-per-view basis. Sky Go is viewable on up to two devices. The Microsoft Silverlight 3.0 browser plug-in is required to play content on computers. Due to viewing rights, certain programmes are not available to watch via Sky Go, and are ‘blacked out’ from the schedule. In order to have access to the full selection of live TV channels available on Sky Go, users will need either a Sky Multiroom or Sky Broadband Unlimited subscription, on top of the required TV packages that correspond to the available channels. NOTE: All live streams and content is restricted to UK only IP addresses (Geoblocked). Streaming technology is used to distribute Internet radio, typically using an audio codec. Streaming audio formats include MP3, Ogg Vorbis, Windows Media Audio, RealAudio, and HE-AAC (or AAC+). Audio data is continuously transmitted serially (streamed) over the local network or internet in TCP or UDP packets, then reassembled at the receiver and played a second or two later. The delay is called lag, and is introduced at several stages of digital audio broadcasting. Bitrate is defined as the number of data points used to approximate the true wave form. Obviously, the higher the number, the more accurately the wave form is approximated. Radio streams are encoded (compressed) to a ‘bitrate’. The bitrate simply refers to the audio quality of the stream; this is measured in ‘kbps – kilobits per second’ or ‘k’ for short. Sampling frequency also impacts fidelity. The sampling frequency is essentially the number of times the sound event is quantized within a given time period. Sampling frequencies are specified in KiloHertz (KHz), a term meaning samples per second. The key in understanding how sampling frequency affects fidelity is the Nyquist sampling theorem. Basically, when applied to audio signals the Nyquist theorem states that the highest possible pitch in the sound is one-half that of the sampling frequency. Most listeners automatically assume that stereo will sound better, however this is not always the case. Using stereo on a lower bitrate will cause muffled audio, 48kbps in stereo would means listening to 24 kbp/s per channel. This decreases the listener’s experience, with mono it would sound better. On 128 kbp/s, you are listening to 64 kbp/s per channel. This means the overall quality will be improved offering a better quality stream. All of the BBC’s national, local and regional stations along with the BBC World Service, are available to listen to live on the internet (rights permitting), with appropriate media player software. It is also possible to listen to BBC Radio services via the internet without having to log on to a computer. The easiest way to do this is via a WiFi or Internet Radio. These radios pick up radio stations streamed on the internet via a broadband connection to the radio. There are no UK only IP restrictions on BBC radio, for more information and direct links to the various BBC stations see BBC National Radio. 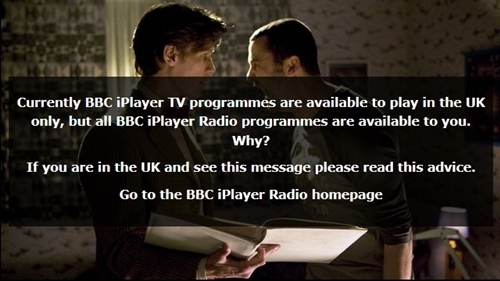 The easiest way to listen is through the BBC iPlayer. 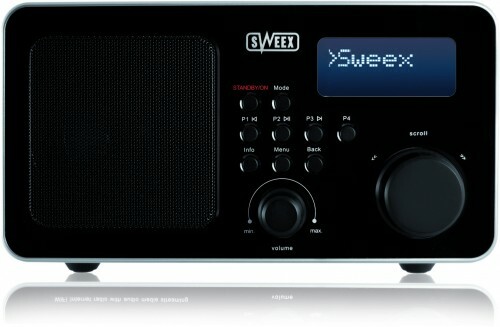 The BBC have changed the way they provide radio streams. This change is part of a wider project for a new way of delivering online radio from source to the products that users consume, known as Audio Factory. Audio Factory was designed to keep BBC services available, make them more resilient and ensure a consistent experience. All BBC services are now available in HLS and HDS using the AAC codec. By the summer of 2015, the BBC hope to have these streams available in the non-proprietary DASH format. HTTP streams are available in both UK and international variants, which allows those in the UK to continue to enjoy BBC Sports coverage. International and mobile listeners will only have 96 / 48 kbp/s HE-AAC v1 streams available, again only in HDS/HLS with the 96kbps probably for Radio 3. Visit the BBC Radio Website for information on reception and programming. Radioplayer is an online audio player which gives you access to live, on demand and podcast radio from hundreds of stations in the UK. Radioplayer is a not for profit company founded by the BBC, Global Radio, Guardian Media Group, Absolute Radio and RadioCentre to serve radio and its audiences by making listening easy. This Web app is designed to bring the BBC’s own publicly funded radio stations together with a wide range of commercial stations, making them available together for the first time. Rather than offer a directory of the stations, the BBC has opted for a simple, freetext search box. Users can search for a station, a location, a specific programme or presenter, or a subject that they’ are interested in. Radioplayer is a search engine for UK radio, with the ability to listen right from pop-up browser window. The Radioplayer system aimed to simplify listening to radio online by bringing hundreds of UK stations together on a single site. It also introduced shared standards so that radio players used the same interface and design – as opposed to each broadcaster adopting different, potentially confusing, styles on their respective websites. 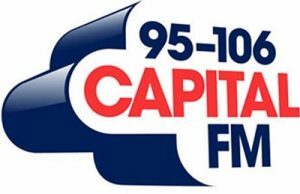 Commercial radio licences are awarded by government body Ofcom, which advertises a licence for a specific area and holds a contest to determine which station will be granted permission to broadcast in that area. Most commercial stations broadcast to a city or group of towns, or regional stations covering larger areas. 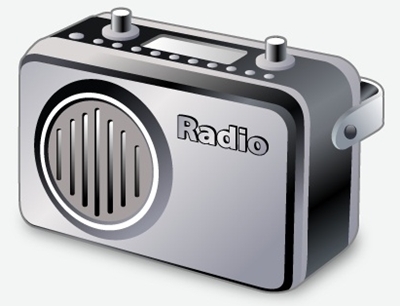 Many local and regional radio stations are owned by large radio groups which broadcast a similar format to many areas. The largest operator of radio is Global Radio which bought the former media group, Gcap Media. It owns Classic FM and London’s most popular commercial station, 95.8 Capital FM. 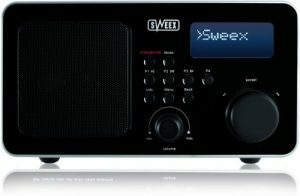 Other owners are Bauer Radio and UTV Radio, which mainly own stations that broadcast in highly populated city areas. Most of the UK’s national, regional and local commercial stations offer live streams on their websites. Since 2006, many of the UK’s commercial radio stations have been restricting live stream access to users from the United Kingdom only. This came as a response to PPL’s announcement that they would only grant radio stations the webcasting rights to stream to audiences within the UK only, or to face additional costs. Some of the larger stations do not restrict their services to the UK, please check the Commercial Radio page for more information. They are recognised under the Communications Act 2003 as a distinct third tier of radio in the UK. Most community stations offer online streams, most in good quality, unlike many commercial broadcasters, there are no UK only IP restrictions imposed on listeners, giving these community stations a potential worldwide audience. See Community Radio for more information. Geoblocking is a technology that is used to prevent access to web sites from visitors in particular countries or regions. At the moment it is mainly used by traditional broadcast companies who are moving their television, radio and music content online. Because of distribution contracts with the producers of these programmes many broadcast web sites limit access to people with in their own country. Whenever a person connects to the internet, their computer or mobile device is assigned what is called an IP address. This is a sequence of numbers in the form 255.255.255.255. The IP address is assigned to you by the internet service provider (ISP) that you are connecting through and these in turn are assigned to the ISP in blocks. It is therefore possible to say that a particular IP address is from a particular country or even city. Site owners that want to use geoblocking simply choose to only allow access to a particular range of IP addresses or to block certain ranges. A UK VPN account is an account that would allow you to connect to a server located in the United Kingdom. Once connected you will be assigned a UK IP address and all traffic will be encrypted using PPTP or L2TP IPsec encryption. You will still need an internet connection, though you will bypass internet filtering and log keeping (if your ISP keeps logs). Using a VPN is legal, as no re-broadcasting, copying or pirating is taking place. Once connected to a VPN network in the UK, you will be able to access most sites that restricts access to users outside the UK. Get a UK VPN or SmartStream from StreamVia ( A UK & USA VPN package is required for SmartStream.